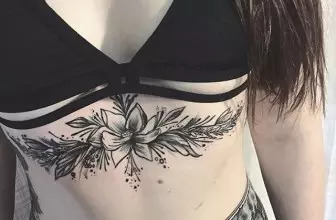 Anything can be drawn as a tattoo, but there are some that are amazingly elegant. A good example is the Peter Pan tattoo. 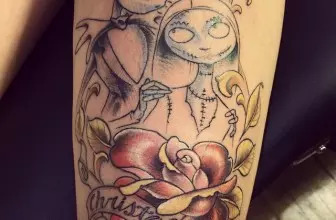 These are one of the tattoos that have been inspired by the comic books and the fairly tales. Pan was a playful boy that lived eternally in his youth and also, he was able to fly. He used to enjoy flying around with his crew around the streets. The story is long, but all that can be reduced into tattoos that look elegant. These tattoos are drawn with some special meaning and also, not anyone will apply them. They will be applied by a person that is a fan of the fairly tale. Basically, this tattoo will be applied with different meanings altogether since they are applied by different types of people. In most cases, they are applied to symbolize the eternal yearning for innocence and youth. They could also symbolize some special magical attributes and ideas like truth, beauty, romance, dreaminess, love and being in a perfect and an imaginary world. They could also be drawn simply as a way of appreciating the story and specifically the character, Peter Pan. Some tattoos will be drawn along with the other boys that flew along with Pan. All these will be applied with different meanings all together. They will be applied in different areas around the body, but all in all, the wearer will have it in a more open place. Some of the common areas of applying the tattoo include the arms, thighs, legs, hips and even the intimate areas. 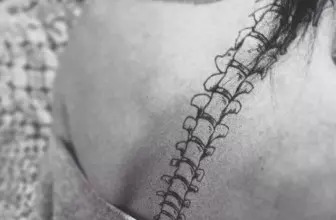 They can also be applied on the shoulder, the collarbone, the chest, and others have them on the neck. These tattoos will come in different forms and design altogether, but the theme still revolves around Peter Pan. The coloring will also differ from one tattoo to another. Here is a look at some of the types of the tattoos of Peter Pan. Peter Pan in his glory. This tattoo will display Peter Pan when he is flying and full of joy. Peter Pan will have his wings flipping and also, he will look generally happy. The character can also be used to show that the person applying it is flashing back to a life that had limited fun. Here, it may show that the person is now free to do whatever and that they are generally happy in their current life. Then tattoo can be used to show that the person is strong and will face anything that comes their way. Pan with Wendy and the boys tattoo. There can also be a tattoo that shows Peter Pan with her female character Wendy, along with the boys. This will take some time to apply, so you might want to be keen on choosing the right tattooist. This might be a tattoo used to take people to the world of fantasy. 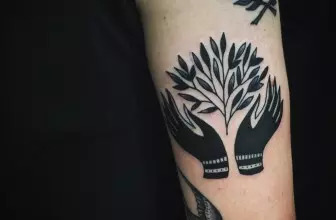 It may represent unity, like in a family or a free spirit. It may also represent the readiness in accepting the new challenges in life. It can be applied with the background, or might be drawn or might be drawn only with the characters. These ones are used to show that a dream came true for the person applying them. The tattoos can entail Pan and the boys flying over the city with the buildings included. Since this one will also take a longer time, it might want you to be keen when choosing the tattoo artists. This will also need an area with more skin. With this tattoo, it will entail Peter Pan with Captain Hook. Generally, it is an image of the good and the bad or the evil. It can be drawn as a simple tattoo or can be drawn with many other specifications. The tattoo can also be used as a way of encouraging the person that they can stand strong against any challenge. It is used to give the wearer the strength to overcome the fight against evil. It may also be used as a way of appreciating the art. So it can be an artistic representation. It can show when Peter Pan is in action with Captain Hook. You can also have the tattoos drawn in terms of a quote. Here, the tattoo will have some quotes from the movie. These quotes will be used as an inspiration to the person whenever they look at them. In most cases, the quotes will be applied in areas that are visible enough to person. They can be applied to the wrist, the arm, or anywhere else. These quotes can also be applied along with Peter Pan or a symbol of the character. There is a connection between Peter Pan and the Greek mythology, which suggests that Peter usually mirrors Pan, who is the god of wildlife and hunting. This could be the reason why Peter Pan is closely connected to the adventure. They will be applied with a special meaning, but all in all, they will have something to do with the adventure. Whether it is the quote alone, or the quote and another character of Peter Pan, you must be keen on the artist that you choose. 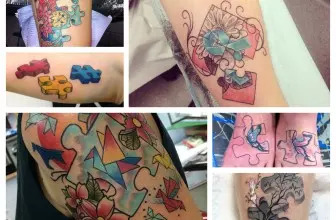 These tattoos can either be drawn with a blend of colors. Peter Pan can be drawn with the default green theme, with a green hat and a colored face. The other characters can also be drawn with more colors or they can be drawn. When you need such a tattoo, you will be sure to know the meaning of the character or everything that is included in it. They are also applied in different areas, so ensure that you choose your placement wisely. When you need the coloring, you would best go for the basic black color though you can go for the blend of colors. The color blend will mostly be chosen by those that are so much into art. However, the best way to pull off this type of tattoo is by choosing the right tattoo artist, who can also guide you.